Discover the comfort of sleeping on wool. The benefits of sleeping on wool will astound you. Since we spend a lot of time sleeping it makes sense to invest in things that make us sleep better. Here is what experts have to say about sleeping on wool. Studies have shown that the heart rate lowers while sleeping on wool compared to synthetic materials. 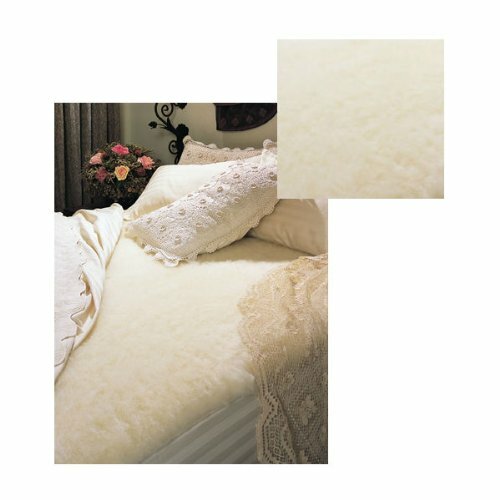 For elderly people or those confined to bed, wool will prevent bed sores. Wool regulates body temperature so it is warm in the winter and cool in the summer. It breathes with our bodies. Wool is an excellent choice for support. Its springy nature helps to relieve pressure points and muscle aches. Many people who suffer from fibromyalgia, arthritis, and rheumatism can really be helped by the cushioned support of wool. 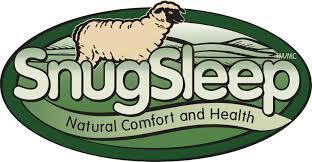 Another added benefit of wool is that it is a naturally flame resistant so it provides a safer sleep. Most other mattresses are sprayed with chemical flame retardants to meet safety codes. Wool is great for people with allergies and chemical sensitivities. Dust mites can’t live in the wool as they need a moist environment to survive. People with asthma find them to be a great alternative to other bedding such as, down and other synthetic materials that are a haven for dust mites. Wool is nature’s answer to good restful sleep. What could be more important for good health than a good night’s sleep? Unlike memory foam and gel- foam you won't sink in or heat up on wool. What do They Cost and Where can I get one? I got mine on Amazon. After doing the research this is the one I settled on. There are varying depths of wool toppers from a half inch to 2 inches. I decided to get the 1-¼” depth going somewhere in between. Don’t worry about it being soft, it is very supportive and yet forgivingly firm. For a Queen size, you can expect to pay between $200 to $300 depending on the thickness of the pad. Check out the link below. You Won't Believe What Wool Will do for Your Sleep. A simple solution to restful sleep and it is machine washable. The last thing you want to do is put a pad over your wool mattress topper that would take away from the amazing health benefits. So then you may worry about how you are going to clean it since it is wool. The topper is machine washable on a very gentle cycle using woolite in cold water. Then you hang out your topper to dry. Once dry you shake it out to fluff the wool back up to its natural state. 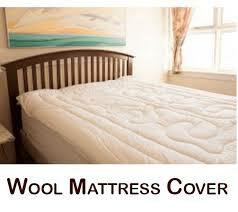 Try a wool topper you won't be sorry you did, it can make an older mattress seem new again.